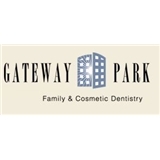 Gateway Park Family & Cosmetic Dentistry (Aurora) - Book Appointment Online! As a patient of our office, you will be treated as a friend, greeted by name by our friendly staff and Dr. Zenon every time you enter our doors. Dr. Zenon is friendly, has a great chairside manner and spends quality time with each patient, getting to really know you in order to form a lasting relationship, and act as a true partner in your oral health. You can be confident that Dr. Zenon and our staff will get to the root of your dental needs, providing you with the same treatment we would a best friend or family member. At Gateway Park Family and Cosmetic Dentistry, we talk with you, get to know your dental needs and ask you what kind of care you want. And from there, we develop a treatment plan together. Gateway Park Family and Cosmetic Dentistry offers just the right dental care for you, formed through a friendship.